Kudankulam’s third and fourth units would be built close to its first and second units that had already been built, the plant’s site director R.S. Sundar said. The construction of the third and fourth units of the Kudankulam nuclear plant in India will be kicked off in the spring of 2016, the plant’s site director, R.S. Sundar, told TASS on Sunday. He said Kudankulam’s third and fourth units would be built close to its first and second units that had already been built. Constructions works would start in April-May 2016. After that, in his words, it was planned to build the fifth and sixth units. The first energy unit with a capacity of 1,000 megawatt was commissioned for warranty-period operation for a term of one year in December 2014, the Indian expert reminded. The second unit is to begin full-capacity electricity generation this summer. Additional chief engineer of the plant, Arun Kaliraj, said the Kudnakulam plant built with Russia’s support was a vivid example of how high technologies could help to generate clean and safe energy without polluting the environment and risks to humans. He stressed it was India’s only power plant capable of generating 1,000 megawatt by just one energy unit. 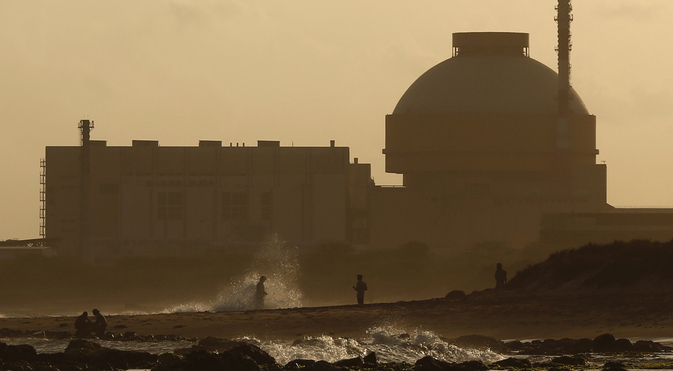 The project of the Kudankulam nuclear power plant, which is located in India’s southern state of Tamil Nadu, began in 1998 when the two countries signed a general agreement. However, actual construction started only 14 years later, due to various reasons. All in all, the power plant is due to have four power units, each of them with an output capacity of 1,000 megawatts. The first unit was connected to the power grids on October 22, 2013. The output of electricity was raised to 90% of its capacity in May 2014 and it reached full-scale production in late 2014. The first contract for supplies of Russian equipment for the construction of units No. 3 and No. 4 was signed during President Vladimir Putin’s visit to India on December 11, 2014. It was also then that the sides signed one more document marking the plans for construction of no less than twelve nuclear power generating units in India.